We’re all human and therefore we all have fears. Some of us fear death, others fear being alone, and others fear social situations, stillness, who they are, what their purpose is, what matters to them, being loved and so on. We’re all human and therefore we all have fears. Some of us fear death, others fear being alone, and others fear social situations, stillness, who they are, what their purpose is, what matters to them, being loved and so on. If you can think of it, there’s someone somewhere that’s afraid of it. But fear is a normal part of life. It’s what protects us and keeps us safe. There are times, though, when fear can hinder us and stop us from enjoying life and experiencing new joys. When your fear starts to limit what you do in life, keep you blocked and stuck and miserable, you need to conquer that fear. 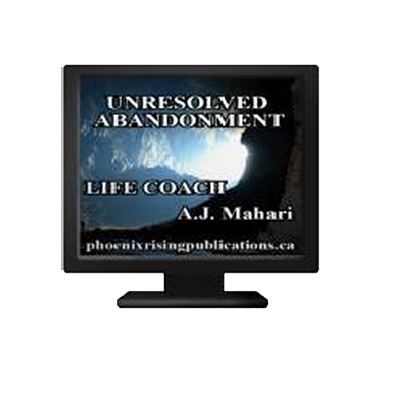 This is where personal change and learning to cope with the process of personal change, growth, healing, recovery, and/or evolving comes in and why it is so important and really is on-going in our lives. Many people need and want change in their lives but are not sure how to create change or how to stop fearing what it is that they actually want to change. Many people are blocked and stuck. 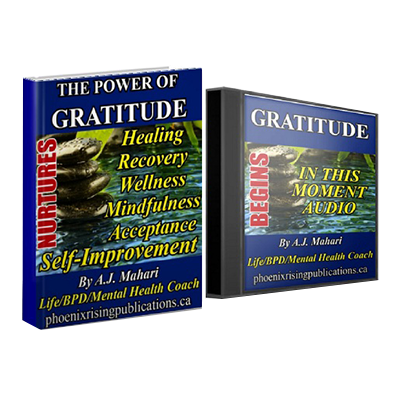 In this audio, that comes with a workbook as well, I talk about how the avoidance of pain through seeking pleasure only ends up in you have more pain to cope with in actually changing not only what needed changing in the first place but what bad habits or patterns of choices and behavior you may have developed while avoiding your initial pain or needed change and personal growth. I also share examples of a couple of my Life Coaching clients and how they navigated key points in the process of being coached and supported in their change working with me. My Life Coaching and BPD/Mental Health and Self Improvement Coaching can help you to navigate your own needed and/or wanted process of personal change and learning to cope with that change. When clients with work with me in this process it helps them to stick with and keep focused on the changes they want to make and why. 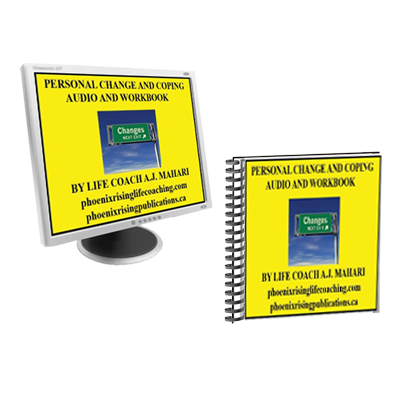 The workbook included with this audio gives you questions to answer that will help you to discover more awareness about how you think and feel about change and what might be blocking you. Too many people continue to suffer with depression, sadness, loneliness, isolation, weight problems, substance abuse problems, unresolved childhood issues, toxic relationships, feeling worthless and/or helpless, shame, and so much more difficulty in their lives because they are afraid of what personal change will feel like and they aren’t sure how to cope. 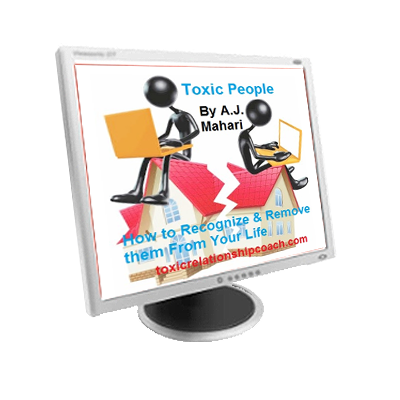 This audio and workbook will help you to take an insightful look into what might be stopping you or blocking you from setting goals and taking action in a process of personal change and learning to cope with it and through it that will change your life in so many ways and so much for the better.